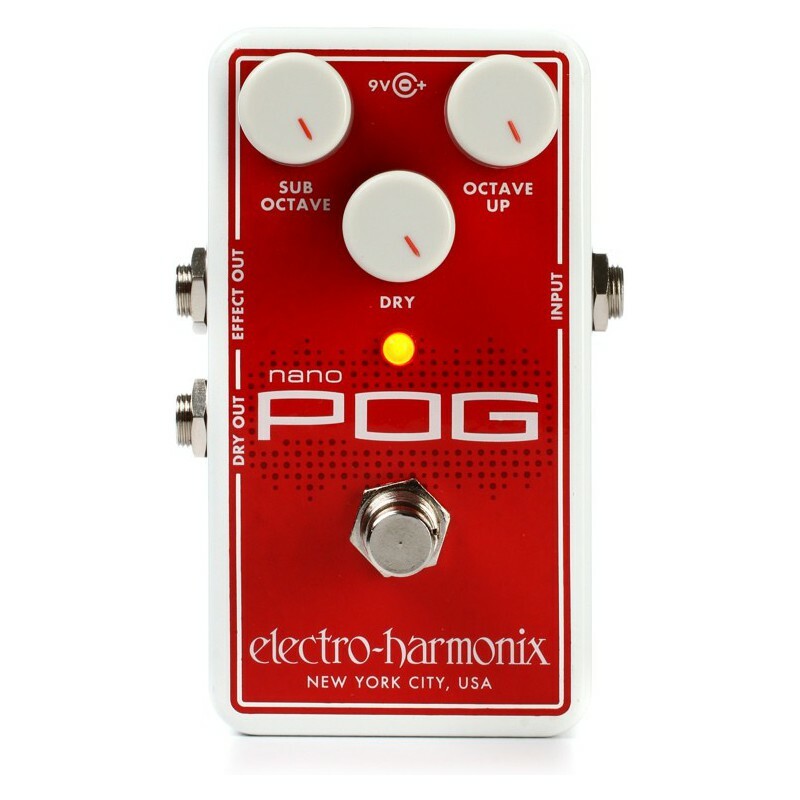 The smallest member of the polyphonic POG clan provides impeccable tracking and sound. 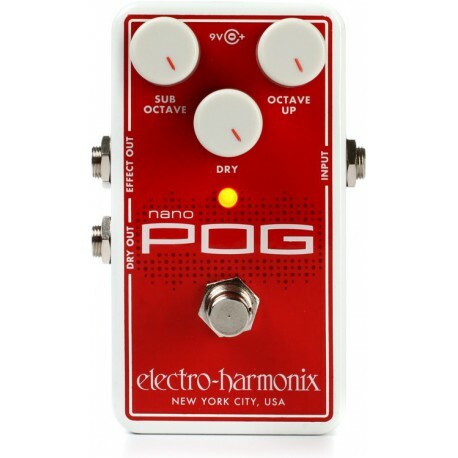 Separate level controls for dry, sub octave and octave up plus an extra Dry out and silent footswitching provide the perfect formula for this compact jewel. Great 12-string guitar sound or turn your guitar into a bass. Amazing organ-like sounds. Power supply included.